I will disappoint the readers who are expecting to see part 3 of 2012 Democracy Day Church Service on this page today, by discussing the above topic in relation to a broadcast that this anti-Islam station aired penultimate Monday in its FOCUS NIGERIA programme concerning Islamic Banking. I will resume my discourse on the church service afterwards. So, from the outset, from the composition of the panel, it was apparent that Anti Islam Television (AIT) was set to do their inherent occupation: presentation of biased position, perversion of facts and rendering subjective analyses against Islam. The opinion expressed by this one-sided, all-Christian and non-expert panel reminded the viewer of the verse: ‘Hatred is revealed by the utterance of their mouths, but that which their hearts conceal is greater.’ (Qur’an 3:118). Who was expecting AIT to invite an expert in Islamic banking in order to educate and present a balanced standpoint on the issue? What do you anticipate from the Anti Islam Television? Both the discussants and the presenter of the programme ended up leaving no one with any knowledge of the subject matter in doubt as to their unfamiliarity with the concept and modus operandi of the Islamic Financial System. The AIT panel does not know the difference between a promoter and a regulator. In carrying out its statutory responsibility of licensing, regulating and supervising all forms of banking business in Nigeria allowed by the law, the CBN is duty-bound to maintain ‘public confidence in the banking industry’ and ‘to create public awareness of this new banking model and product.’ Our learned AIT discussants confused awareness-generation with advocacy! The only reason Sanusi had to vehemently defend the CBN’s decision was when it was apparent that there was an agenda at play; the now familiar give-a-dog-a-bad-name-to-hang-it routine that greeted the introduction of Shari’ah in Northern Nigeria was playing out again. Never mind the merits or constitutionality of it. There was a similar incident in Germany during the second BAFIN Conference of 10th May, 2012 in Frankfurt. The German Financial Authority was attacked for ‘promoting and marketing Islamic financial products; that such exercise should be left for the affected banks and institutions to do it by themselves. As if one is quoting verbatim from the AIT programme under discussion. ‘We need to express interest in Islamic finance’, answered Peter Baier of the German Financial Authority, ‘because as regulators, we have to open up to new developments in global financial landscape in which Islamic finance is one such new developments, and it is gaining a lot of relevance in Europe. It is not a matter of promotion; it is a matter of waking up to our responsibilities as supervisors and regulators.’ How instructive! Even Sanusi could not have added anything to this succinct response. On the allegation of Ja’iz Bank not making any advert ‘until tomorrow’ as put forward by Ben-Bright, it is sad that Gbenga refused to be guided by his professional honesty, if he has any left, in refuting this for the fact that Ja’iz Bank has placed numberless advertisements on both print and electronic media. Will it be that keeping mute on this aspect of Ja’iz’s activities was part of the contract signed between AIT and the covert sponsors of that programme? Why did Christian Association of Nigeria (CAN) place paid advertorials on national dailies, just 2 days after this infamous AIT programme, praising and anointing Justice Gabriel Kolawole (a Christian, by the way) for his judgement against Islamic banking? Is there an unbroken chain of strategy aimed at nipping Ja’iz Bank in the court judgement being a precursor to the AIT programme and then the spiritual merit award by CAN in paid advertorials to the Justice for his pronouncement? Let me help Elder David. The guidelines Gbenga was referring to were two documents one drafted during Soludo’s tenure, and the other, an improvement on the draft during Sanusi’s tenure. What Gbenga does not know is that Soludo’s draft has more Islamic content than Sanusi’s amended version, and not the other way round. Gbenga has either not read the said guidelines or has chosen to be mischievous by distorting the contents. Soludo’s draft did not recognise any non-interest banking other than that of ‘Shari’ah banking system.’ It was Sanusi’s revised standard version that re-defined ‘Non-Interest Banking as a universal set, with two subsets viz: non-interest Islamic banking and non-Islamic non-interest banking’ in order to be more encompassing and accommodating to other options in case the Christians, the Jews or for that matter, the atheists for instance, wish to have their own workable and established financial system. Of course we know there is no such thing in their religion; all the same let us be fair to all. Sanusi also removed ‘Shari’ah due to sensitivities, and’ substituted ‘it with Islamic commercial jurisprudence.’ In addition, Shariah Advisory Committees provided by the framework for every non-interest financial institution was substituted with Advisory Committees of Experts for the same reason. Gbenga should therefore study his notes very well to avoid exposing his poor education or the lack of it on this matter to the whole world. Obviously, it is the word Islam that he does not want to be part of the appellation. 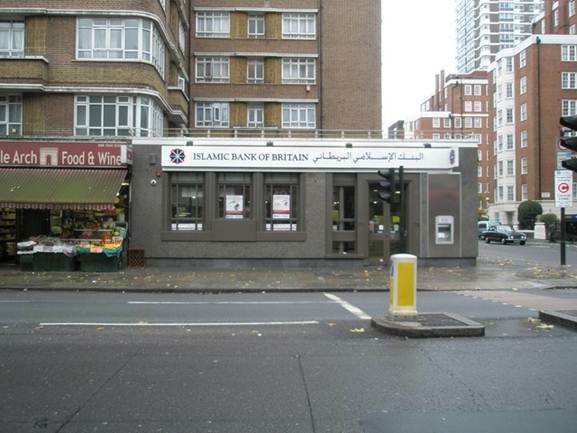 But even Ja’iz Bank does not call itself Islamic either. There is no place that the word Islamic appears in either its cheque book or deposit slip. The Bank and Other Financial Institutions Act (BOFIA) of 1991 (as amended) states that: ‘without the written consent of the CBN Governor’ no bank may be incorporated or registered under the name Islamic, Christian, Qur’anic or Biblical etc.’ What is interesting here is that though this act empowers the CBN Governor to grant his written assent for Ja’iz Islamic Bank, for example, Sanusi did not do that. The bank remains only as Ja’iz Bank. Our uninformed panel, from the beginning to the end of the programme kept referring to Ja’iz as Ja’iz Islamic Bank which is not the registered name of the bank! Though Elder David was a commissioner in SEC he is ignorant of the fact that the CBN is not alone in allowing banks to go into the realm of Islamic finance. NAICOM has licensed up to three insurance institutions to provide Islamic insurance services called Takaaful. SEC has also licensed Islamic fund management entities and has released the rules governing the operation of Islamic funds. Conventional banks are also venturing into this realm. Alongside Ja’iz, the CBN has also licensed Stanbic IBTC Plc to set up a window for non-interest (Islamic) banking services, in line with what obtains in ‘major western international financial institutions’ which ‘include HSBC, Citigroup, Standard Chartered, BNP Paribas, Deutsche Bank, Lloyds Banking Group, Tokyo Marine Insurance, Swiss Re etc.’ I am sure these banks are not owned by Muslims nor are the heads of their central banks Muslims. Another allegation was that of text-messages announcing recruitment purportedly sent by Ja’iz Bank to Muslims and urging them to ‘forward only to Muslim brothers and Sisters.’ Unfortunately, our AIT panel was not honest enough to state that Ja’iz Bank has responded swiftly to disown that text-message and urged recipients to disregard it. 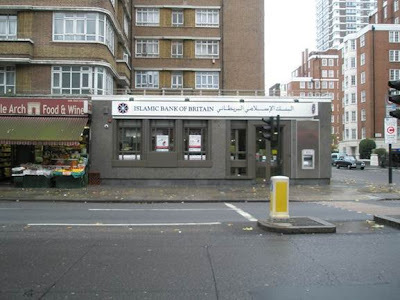 Muslims and non-Muslims are welcome to Ja’iz Bank; nobody is discriminated against. Part of the amendments of Sanusi on Soludo’s draft was the inclusion of ‘a non-discrimination clause’ to inhibit such non-interest banks from discriminating against anybody on the basis of religion or ethnicity. This clause says that: no person shall on account of his race, religion or geographical location be discriminated against by these institutions whether as promoter, shareholder, employee or customer. Let the Anti-Islam Television produce proof of anyone that suffers any form of discrimination on account of their faith; I trust the CBN is sure to impose sanction as this is against the regulation establishing the bank. The response: it is working elsewhere because, according to Elder David, ‘their manpower is trained to understand the characteristics of the product.’ And for the first time, I agree with Elder David, and the CBN is aiming at exactly the same thing by making it part of the guidelines that our banks must sign at least a 3 year technical agreement with another bank already in the field. To this end Ja’iz has ratified a technical working agreement with the Islamic Bank of Bangladesh (IBBL). As for Stanbic IBTC, it does not have to sign any such contract due to its experience in Islamic bank operations in Tanzania, South Africa among other countries. This is only the ranting of self-acclaimed soothsayers of doom for Islamic banks in Nigeria. If these banks are billed to go under because of the nature of the model under which they operate which is based principally on profit and loss sharing, how come Islamic banks all over the world are registering an average growth rate of 10-15% in assets, deposits and customer base, at a time when most conventional banks are growing at only single digit rates of growth? From a few billions, the global assets of Islamic financial institutions have hit the USD 1 trillion mark and are expected to reach USD 1.8 trillion by the end of this year! Islamic banking is a business enterprise not a socialistic or philanthropic venture as this misinformed panel misperceived. Allow the people who want to do the business to do it. It is their money. The CBN as a regulator knows from its expertise in banking regulation that this is a viable banking business that is why it is licensing it. Let me here paraphrase Charles Darwin, “It is not the strongest financial system that survives, nor the most intelligent. It is the one that is most adaptable to change.” Strangely enough, the man responsible for drafting the amended guidelines is a staunch Christian. The decision to adopt all those policies and guidelines was also ratified at the highest level of the CBN where matters are put to the vote and where the Christians outnumber the Muslims. Of course these facts are carefully kept away from those they wish to misinform. A lot of the negative projection of anything Islamic in this country is based on Islamophobia. Why can we not live and let others also live? Mallam Jazakallahu hairan....you have finished the story well....but they will never agree. This write up should have the widest publicity (I hope it will also get to AIT). For fellow Muslim, I would say: no amount of attack and criticism can bring Islam down. Remember, Allah says "He it is who has sent forth His Apostle with [the task of] spreading guidance and the religion of truth, to the end that He make it prevail over all [false] religion, however hateful this may be to those who ascribe divinity to aught but God." Quran 61:9.